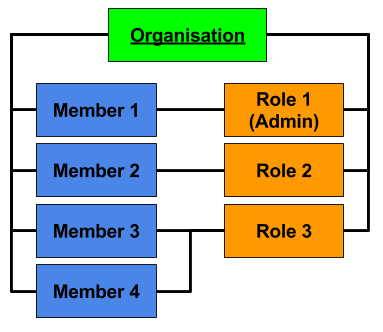 Organisations allows Administrators to set up groups of users in groups which can be administered by external users to a limited extent. Organisations are buitl up of Members and Roles. Utilising Organisations means that much of the User administration can be placed onto the Admins of that Organisation. Organisations can also make use of Pricing Schemes and Booking Restrictions. Create Roles with limited permissions for your Organisations. Details on the various Settings for Organisation and adding new Organisation Members.